If you are in the Settle area and looking for a bite to eat, look no further than The Knights Table at Little Stainforth. Serving a great selection of main meals, light bites, salads and sandwiches as well as a fully stocked bar, we also offer a take-away menu. Our food is locally sourced whenever possible and we pride ourselves on portions fit for a King! 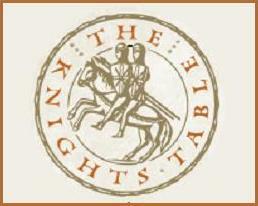 The Knights Table is part of the Knight Stainforth Hall estate, a manor house dating back to pre-Norman times which belonged to the Knights Templar. We are located 2 miles north of Settle, nestled on the banks of the River Ribble with breathtaking views of Ribblesdale. We are easily accessible to walkers and cyclists being adjacent to the 'Pennine Bridleway' and 'The Way of the Roses'.